Here in Suffolk, where World Land Trust (WLT) has its headquarters, spring is in the air. With most of the winter behind us, some of us are starting to think about booking a summer holiday, or even a last minute winter break. The good news is we can all support WLT by booking holidays, flights, hotels and train tickets online through Give as you Live. 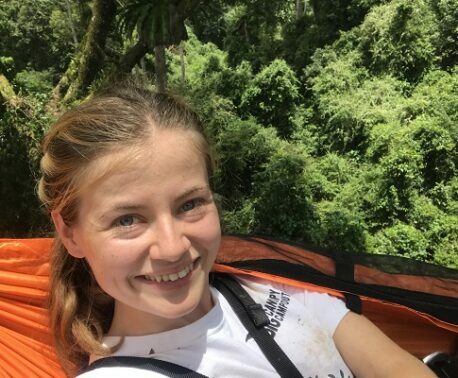 Every travel adventure can raise money for WLT. Simply sign up to Give as you Live and shop at thousands of retailers, including top travel sites like lastminute.com, Expedia and Thomas Cook. Each Give as you Live retailer will donate to WLT a percentage of your purchase – without costing you a penny extra. So, you’ll get the same great online deals and the added bonus of knowing that your journey through 2014 is helping to support our journey too. Even better, some of WLT’s corporate supporters are listed on Give as you Live. APH, for example, is a leading UK provider of travel extras which include airport parking, airport hotels and airport lounges – and APH makes a 5 per cent donation to WLT with every online booking through Give as you Live. Sykes Cottages, which supports WLT’s reserve at Kites Hill in Gloucestershire, is also listed on Give as you Live and makes a 3 per cent donation to WLT for Give as you Live online purchases. Sykes Cottages is the largest independent self catering rental agency in the UK, with more than 2,200 cottages and log cabins across the UK and Ireland. In January we broke through the 100 shopper barrier and WLT now receives donations from online purchases made by 104 shoppers. This is encouraging news, and we remain focused on meeting our target to have 500 Give as you Live shoppers by the end of 2014. 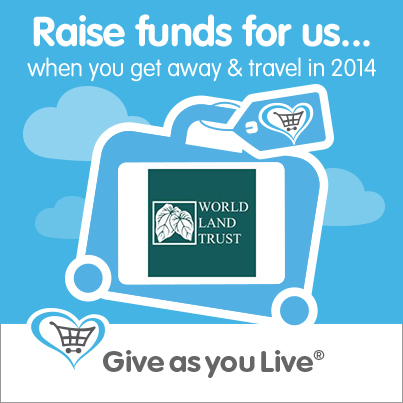 January 2014 saw another Give as you Live milestone, with total donations to WLT now exceeding £1,000. So, if you’re not already using Give as you Live, please help keep our donations total increasing month on month and click here to install Give as you Live now. To date Give as you Live has raised £4.28 million for charity, and the Institute of Fundraising recognised its success with two awards in January. Give as you Live was named Most Committed Company to the Sector and Best Digital Tech Partner: Donor Facing. 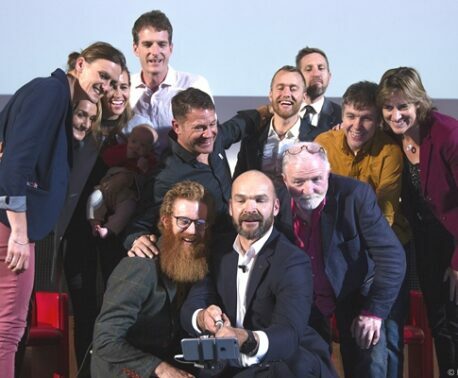 Give as you Live was also shortlisted for the Best Giving Platform award, an accolade they won in 2013. Give as you Live’s Chief Executive was also nominated for the Most Committed Individual to the Sector.